The UCL Multifocal Aspheric is a back surface aspheric design. The presbyopic patient, when fitted with the UCL Multifocal soft lenses, will enjoy a full spectrum simultaneous vision lens that achieves maximum image sharpness on the retina for objects seen at near, intermediate and distant ranges. 100% credit will be issued for future purchases. All returns or exchanges must be returned in the original vial with a copy of the original invoice. Big-chain stores lure away traditional optometry business with discount eye exams. Private labelling solidifies revenue channels. 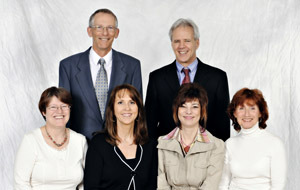 Our friendly and professional staff are eager to answer any questions you may have.